Despite being the eleventh film in the franchise, Halloween is a direct sequel to the 1987 John Carpenter original of the same name, and disregards all previous sequels and remakes. But even for a sequel, it’s surprisingly self-contained. Original Final Girl Laurie Strode (Jamie Lee Curtis) and creepy masked serial killer Michael Myers are back, and while Myers has spent forty years in an asylum without speaking a word, Strode spent some XP on Badassery, now resembling Linda Hamilton’s ready-to-fight Sarah Connor in Terminator 2. The film also introduces Strode’s daughter and granddaughter. This probably sows some seeds for the franchise to continue without Curtis, but within the film itself it doesn’t feel forced. In addition to the two opposing characters, this sequel also takes pleasure in reusing John Carpenter’s original 1978 score (in fact, Carpenter was involved as composer, but the most notable music is the reused main theme). It’s not the exact 1970s recordings being used, but the synths and piano closely resembles the original. And the same can be said for most of the film’s technical crafts. From the opening titles, you can tell that the 2018 Halloween is meant to feel like a continuation of the original film. And this concept is followed through in terms of design, camera style, and plot. There’s even some plot points that, like the original film, pays homage to the 1960 Alfred Hitchcock thriller Psycho. Like Psycho and John Carpenter’s first Halloween, this film isn’t overly gory,or reliant on cheap tricks like jump scares, but rather uses careful and considered build-up to increase the tension. It also functions perfectly well without prior knowledge of the series, while simultaneously rewarding fans of the original film with more of what they loved in the first place. 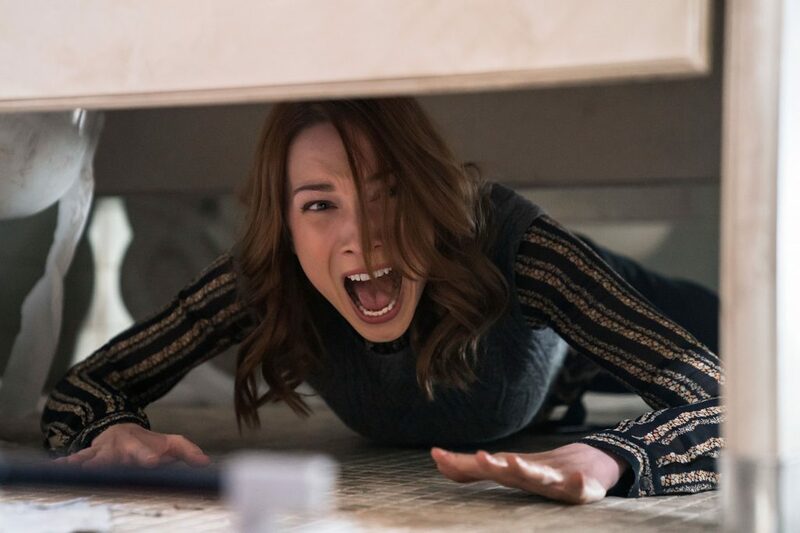 The film has some flaws, but they are mostly small issues with plot and realism that won’t ruin your experience [that’s NOT how you produce a podcast, and Laurie’s relationships with her family and the world feels a little overbaked, and while there are some surprises, at least one of them is very predictable]. 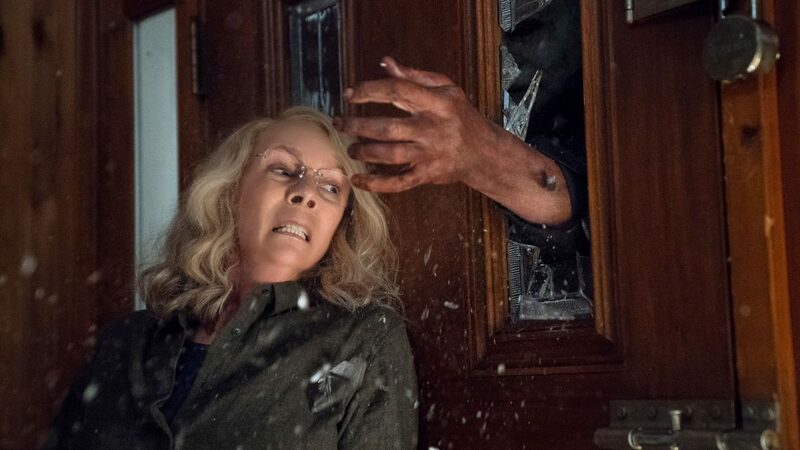 The new Halloween is spirited, independent, and uncomplicated – a worthy sequel to the 1978 original, achieving a careful balance between homage and renovation. The movie is also modernised enough, but manages to sidestep the self-parodying pitfalls of so many of its contemporaries in the slasher and horror genres by not attempting to reinvent the wheel. 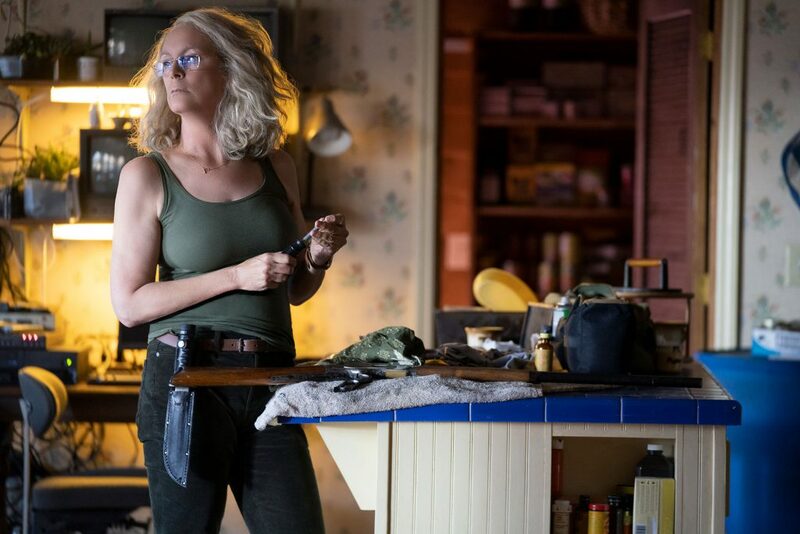 Halloween is directed by David Gordon Green, stars Jamie Lee Curtis, Judy Greer, Andi Matichak, Will Patton, and Virginia Gardner, and is in cinemas from 19 October 2018.